Are you going to get a pet? Have you been given the go-ahead by your apartment complex, your landlord, your partner, and your own long-burning need to have something fluffy and personable to clean up after? The temptation to rush out and get a pedigree something-or-other may be pretty overwhelming. I get this; I had pedigree dogs growing up, and there’s something faintly remarkable about being in the same house as a dog with more names than you. Plus, the animals in pet shops look absolutely adorable when you pass by (read: fail entirely to pass by, because you’re too busy playing with them through the glass). But you should also consider looking at a local shelter — because shelter animals may be just what you need. I say this on the brink of getting a shelter cat for the very first time, but this isn’t the first time my wider circle has dipped into the wonders of rescue animals. My parents-in-law have a soft heart for shelter dogs, and adopted several, including ex-racing greyhounds (get some if you love exercise; they are absolute sweeties). Animal shelters and rescues may only enter your consciousness when they perform a rescue that goes viral, but they're not solely the home of damaged, anxious animals. Many of them have just had bad luck or bad owners. 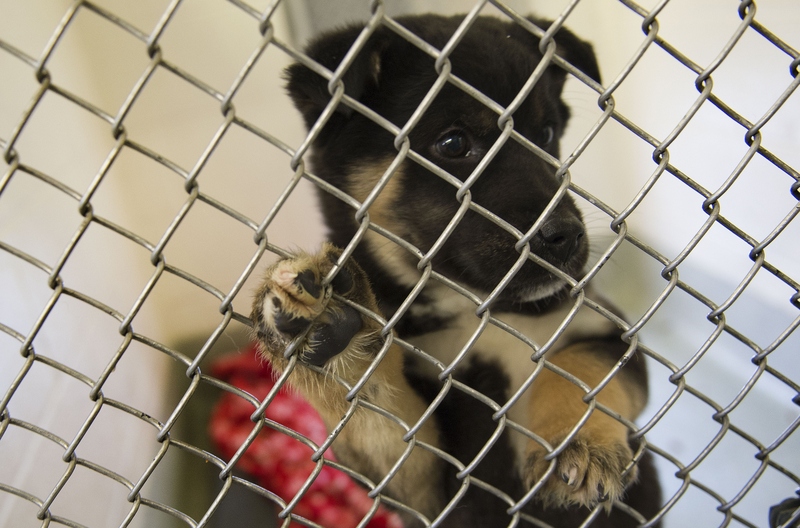 How do you know if a shelter animal is right for you? Here are seven tips to help you start. If you tick these boxes, you may want to start ringing around the ASPCAs in your area for your next furry or feathered friend. This is the thing about shelter animals — many of them are adults rather than kitties, puppies, or juveniles, and they've also often been pets before. They've ended up in care because an owner moved, became allergic, or hit bad health. That often means a previous owner's done all the preparation for your benefit, including litter training, basic commands, and interaction with other animals. And many shelters and rescue centers try to make their animals as psychologically healthy and adoptable as possible, so they'll keep up that training as much as they can. Result? A dog or cat that's primed and ready to slot easily into a home without starting life with humans from scratch. Pedigrees are fancy as hell, but we no longer live in an age where they're a guarantee of good health, smarts, or looks. Pedigree is, in some breeds, a sign that certain traits that owners in some century or other found "fashionable" has been bred in repeatedly, and the results can be terrible for the animal. Pedigree often involves a large amount of inbreeding. Take the squashed in faces of pugs and flat-faced cats, which leads to terrible breathing problems, or the desirable "sloped" back of pedigree German shepherds, which is basically a guarantee of hip problems. If you're aware of this and want to avoid the vet bills, a shelter animal — which may be a mutt or of unclear breed — may be the best way to go. On the other end of the spectrum, shelter animals can be perfect starter animals. Starting with a shelter kitten or puppy guarantees you're getting your dog in the best of health (as opposed to buying from a pet store), but the real bonanza for beginners is likely chilled-out shelter adults. You don't have to do the work of beginner's training, you get an animal that already knows what it likes, and you can get lots of feedback on how to make them as happy and secure as possible. No two animals are the same. Shelter animals are often very well-known animals, with fosterers and workers who know their quirks inside out. In the quest to make an animal adoptable, many shelters even put detailed profiles of their animals online, and are willing to answer endless questions about them. The reason? If the animal doesn't work out, it's just going to come straight back to them (it happens). Breeders and pet stores don't have the same incentive to make sure an animal really fits an owner. Shelter animals usually come fully vaccinated, flea treated, and neutered, with a full vet's report. Neutering is very important to reduce the population of stray and neglected animals, so animal shelters are rigorous about neutering the adults that come through their doors as soon as possible. If you really don't want your cat to go into heat and have kittens, this is the choice for you. The ultimate point of shelter animals is that they've missed out, for whatever reason, on a home, whether from being born a stray, neglected, abandoned, given up, or just not fitting with another family. The possibility of giving that second chance is what adopting them is all about. Some people worry that shelter animals always adore their first owners more, or resent the idea that the animal isn't "exclusively" theirs — but it's nonsense. Animals, particularly those who've been left without a home of their own, deserve to be given all the love they should rightfully possess. And they'll return it tenfold.